Die Zukunft der Medienproduktion wird getragen von gesell-schaftlichen Entwicklungen ebenso wie von technologischen Inno-vationen. Der f:mp. bündelt unter dem Dach eines starken Verbands die Kenntnisse und das Wissen zu den unterschied-lichsten Facetten der Kommunikationsindustrie in engagierten Brancheninitiativen. Damit stärkt der f:mp. nicht nur den Rücken seiner Mitglieder, er geleitet die gesamte Medienpro-duktion auf dem Weg in eine erfolgreiche Zukunft. 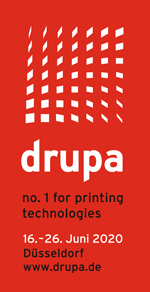 Die drupa setzt entscheidende Impulse für die welt-weite Druck- und Medienbranche sowie Verpackungsindustrie, sie inspiriert die Märkte und verti-kale Industrien und sie bietet hervorragende Vernetzungsmöglichkeiten und Potenziale für exzellente Geschäfte. Hier werden Innovationen in den Markt gebracht, neue Ge-schäftsmodelle entwickelt und neue Partnerschaften geschlossen. FEPE, the European Federation of En-ve-lope Manufacturers, is an international association representing more than 100 compa-nies who are directly or indirectly involved in the paper envelope manufacturing sector. These com-prise envelope manufacturing companies and suppliers. The Association of the German Envelope Industry is the national association of companies which are directly or indirectly involved in the envelope, pocket and packaging manufacturing sector. These comprise envelope manu-facturing companies, overprinters and suppliers. Our mission is to support our industry and to actively promote the value of paper envelopes and pockets in Germa-ny. IPC’s services aim to enable posts to save costs or improve service quality by achieving synergies and enhancing cooperation. While e-commerce vol-umes con-tinue to increase throughout the world, IPC has taken significant steps towards the greater integration of postal networks by developing the technical capacity for posts to offer a relia-ble end-to-end cross-border delivery service. Founded in 1872, Verband Druck & Medi-entechnik is the Austrian graphic sector‘s only independent association with a wide range of competences and activities. It represents the interests of more than 200 enterprises – from small businesses to international corporations. The association’s current president is Gerald Watzal, managing partner of Salzburg-based company Offset 5020. At an international lev-el, Verband Druck & Medientechnik is a member of FESPA, a global umbrella organisation for the printing industry. Our habits of seeing and consuming have changed radically in the digital age. Customers and consumers today can easily immerse themselves in new worlds of experience through numerous channels. Activepixx uses augmented reality technology to create experiences that go far beyond the two-dimensional viewing of images. By linking images with videos, the app adds another dimension to the viewer's perception, offering countless and attractive opportunities for customer communication. If you reach for a high range, you have to get in the letter boxes! Let us distribute your promotions – selective, efficient and target-oriented! As the largest distribution company in the Rhein-Main-Area with almost 60 years of experience, the EGRO developed a nationwide network of business locations and can ensure a perfect regional and nationwide logistic distribution. The owner-managed company guarantees the most efficient delivery of your household-advertising - with around 100 employees in the back office, about 7.000 delivery agents and 6 fully automatic packaging machines. Arouse the buying power with brochures and leaflets. Household-advertising is still the most effective purchase trigger – proven by countless direct marketing studies. Your advertising campaigns will reach directly and without any detours the letter boxes of your target group: Still the most efficient way to make an impact on the purchase decision of the end customer. DHC media stands for the established printing house Hess & Co. – a grown family business, that was founded in 1979. The printing house is still our innermost core and passion, but now we are more: Design agency, master of logistic solutions and circus director of daily challenges. Therefore we perform since 2016 under the name DHCmedia. The name combines the Old and the New and mirrors what we achieve every day. We want to break new grounds with our clients and discover the adventures of the media world. We advise and accompany you since the very first creative idea, support you with the design of your visual identity and develop your individual print product. So that your idea becomes tangible reality! The Otto Schnaudt GmbH & Co. KG is a specialist in commercial and manila envelopes, whether plain or printed. With our total of 16 spe-cial printing machines, we provide finished envelopes with single and four-coloured offset printing. The printing machines are designed to produce small, medium and large print runs cost-efficiently. We have the right machine for any number, and we can produce 1,500,000 envelopes in a single shift. Our customers are printing shops, letter shops and packers and fillers. As specialists, we also offer digital packaging inkjet printing on cardboard and boardback mailers, bottom-folding bags and bubble envelopes. The abil-ity to print on finished products requires special technology because the thickness of the material makes offset printing on such bags impossible. Our high-rise warehouse has 3,000 slots and ensures a smooth supply of envelopes and mailers with and without print-ing. steht mit den Tochterunternehmen SDV Winter GmbH + SDV Direct World GmbH als Full-Service-Dienstleister für Dialogmedien und Informationslogistik. Neben klas-sischen Dienstleistungen im Bereich PRINT stehen OMNI-Channel- Anwendungen zur Verfü-gung. Die GLENDE.CONSULTING GmbH & Co. KG ist ein auf den Datenschutz und die Informationssicherheit spezialisiertes Unter-nehmen. Wir stellen für unsere Kunden externe Datenschutzbeauftragte, Informationssi-cherheitsbeauftragte und unterstützen in allen Bereichen des Datenschutzes. Dabei gehen wir prozessorientiert und nachhaltig vor. Große Unternehmen mit mehreren tausend Mitar-beitern gehören ebenso zum Kundenstamm wie kleine Firmen, Kammern oder Verbände. Sein Wissen gibt der Geschäftsführer Prof. Ulf Glende nicht nur an die betreuten Firmen wei-ter, sondern auch in Veranstaltungen, Seminaren und im Studium. As an expert for cross-channel One2One customer communication, we combine all services that are important for success-ful customer communication. Campaign management is bundled with the objective of providing our customers with the best possible support in winning new customers and re-taining end customers. This is done by target group-specific and cross-channel marketing campaigns. The service portfolio is supplemented by regular communication services with our customers' end customers. Campaign is part of the Bertelsmann Printing Group - the largest printing group in Europe. The Drescher companies are en-gaged in business throughout Europe and offer their customers a comprehensive portfolio of services in the field of transmission of documents, direct marketing plus print and paper products. More than 1 million transmissions a day are delivered from Offenburg for the post-age. Digital Signage - crossmedial und interaktiv - steigern Sie die Customer Expe-rience Ihrer Marke! Infotainment und Werbebotschaften minutenaktuell und modern im Be-wegtbild präsentieren - das ist die Aufgabe von genera 6 Web-to-Media. vermittelt mit seiner einzigartigen Übersicht Informationen jeglicher Art. Die systematische Anordnung der Seiten ermöglicht es, Sachverhalte mit Querverweisen darzu-stellen und stets den Blick fürs Ganze zu bewahren. Der Infoflip kann als Berater, Wegwei-ser, Begleiter, Lexikon, Verkäufer usw. eingesetzt werden. NOVO ist Ihr kompetenter Partner rund um die Karte. Ganz gleich, ob Sie von uns traditionell aus Kunststoff oder ökologisch aus Holzstoff produ-ziert wird. Wir betreuen Sie von der Produktion über die Veredelung bis hin zur Persona-lisierung und dem Lettershop mit unseren Services und Dienstleistungen aus einer Hand. Made In Germany. Made in Bonn. What was once a small, family-run business has since grown into one of the technological leaders in Europe for print and media. The image of our business one hundred years ago – when a handful of employees once stood at a single machine – is nothing like the view in our current reality. Today, around 1,000 colleagues at multiple locations give their all to get the best out of your printed products – from catalogues, to magazines to personalised mailings. As an industry trendsetter, we are constantly pushing the boundaries of the medium of print. In doing so, we consider our environmental footprint to be just as important as a personal relationship to our customers – a mindset which has made us pioneers in the field of sustainability. Der Name POLAR steht welt-weit als Synonym für Schneidemaschinen. Als Markt- und Technologieführer setzt POLAR immer wieder neue Maßstäbe, wenn es um innovative und verlässliche Lösungen geht. Die Grunewald GmbH zählt zu den innovativsten Pio-nieren im hochwertigen Digitaldruck. Zum Leistungsspektrum des Druck- und Mediendienstleisters gehören neben Print-on-Demand Mailingproduktionen, One-to-one-Marketing sowie Fullfilment-Leistungen. Die OTTO THEOBALD GmbH ist zusammen mit ihren Tochterunternehmen der leistungsfähigste Spezialist in Norddeutschland - für Briefumschläge und alle dazugehörigen Leistungen wie Druck, Adressieren und Kuvertieren... Wir zählen mit unserer Produktpalette zu den wenigen Vollsortimentern: Mehr als 1.000 verschiedene Briefhüllen und Versandtaschen sind ständig abrufbereit am Lager vorrätig, da-runter zahlreiche werbewirksame Specials. Rund 200 Mio. Kuverts werden jährlich im Digital- und UV-Offsetdruck veredelt. Weitere Informationen und die gesamte Produktvielfalt finden Sie auf unserer Website http://www.otto-theobald.de oder in unserem http://www.kuvertshop.com. Wir freuen uns auf Ihren Besuch! interfon adress verfügt über mehr als 1.000.000 namentliche Funktionsträger der 1. und 2. Führungsebene, wie u. a. Einkaufsleiter, Sekretä-rinnen, Verkaufs- oder Marketingleiter. 100% telefonisch im hauseigenen Call-Center ermit-telt! Gerne stellen wir Ihnen unverbindlich Musteradressen zur Verfü-gung. Unsere Stärke ist die Entwicklung, die Produktion und der Vertrieb von faltbaren POS-Displays aus Karton und/oder kaschierter Wellpappe. Wir entwickeln und fer-tigen Displays aus Karton, die optimal an die Bedürfnisse der modernen PoS-Gestaltung an-gepasst sind. Die Bandbreite unserer Displays aus Karton ist groß: Vom Warendisplay über Bodendisplays und Thekendisplays bis hin zur mobilen Präsentationswand. Kompetenz in Farbe - Ich lege Wert auf gute und verständli-che Kommunikation. Ich lasse Sie nicht im Unklaren, höre Ihnen gut zu und sorge dafür, dass Sie für Ihre Aufgabenstellung eine umfassende und herstellerunabhängige Lösung erhalten. Nur das Beste zu fairen Preisen. Dies ist ein Versprechen, dem ich mich verpflichtet füh-le. 1929 als Fuchs Malerbetrieb in Rötenberg ge-gründet, ist Fuchs Werbetechnik mit Sitz in Freudenstadt heute ein mittelständischer Druck-dienstleister mit regionalen, nationalen und internationalen Kunden. Was Sie von die-ser langen Erfolgsgeschichte haben? Sie können sich jederzeit voll darauf verlassen, dass wir auch anspruchsvollste Druckprojekte erfolgreich umsetzen – mit maximaler Qualität, Ter-mintreue und Wirtschaftlichkeit. Anders gesagt: Sie be-nötigen hochwertige Druckprodukte, wir kümmern uns darum – von A-Z. Seit 1968 verwandelt o&h Druckvisionen in Schutterwald Ihre Ideen in hochwertige Druckprodukte. Bei uns finden Sie eine beeindruckende Palette an Druckdienst-leistungen: Unsere Kernkompetenz ist der Siebdruck. Aber auch im Digital-, Glas- und Tex-tildruck sowie in Werbetechnik, Weiterverarbeitung und Werbemittel setzen wir Maßstäbe. Unser Team arbeitet hochgradig flexibel, um aus Ihrem Auftrag den größtmöglichen Erfolg zu machen. So entlasten wir Ihr Tagesgeschäft: Statt verschiedene Dienstleister zu koordinieren, erhalten Sie Beratung und Umsetzung aus einer Hand – und investieren punkt-genau in die Ressourcen, die Sie wirklich brauchen. V4 Veredelung GmbH in Leinfelden -Echterdingen near Stuttgart specializes in the exciting topic of print finishing. With regard to film lamination, all common laminating films up to large formats are on offer. In terms of screen printing, our portfolio includes numerous decorative gloss or matt varnishes as well as a wide variety of textured coatings. Embossed foil printing up to a 90 x 64 cm format is also an ever-increasing item in our product range. A new investment in digital finishing for part. UV and relief varnishing as well as digital hot foil stamping without embossing stamps round off the product portfolio, especially for personalized orders of small editions. This segment of print finishing generally offers excellent opportunities for a significant value enhancement of print products. With its large choice of production samples on display, the stand will introduce visitors to how print product value may be increased while creating considerable added value at the same time. In addition, visitors to the stand receive tips on design as well as options and combinations of the various finishing types. So why not come and visit us at our stand? We look forward to meeting you. The Onlineprinters Group is one of the leading online print shops in Europe. Employing a staff of more than 1,400, Onlineprinters produced 3 billion+ printed advertising products last year. More than 1,500 print products including business cards, letterheads, flyers, catalogues, brochures, large-format advertising systems and more are sold to 1,000,000 customers in 30 European countries through 18 web shops. 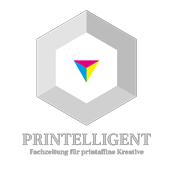 Internationally, the online print provider is known under the brand name of Onlineprinters; in Germany it operates as diedruckerei.de. B&K Offsetdruck is a modern and international successful business. In the graphic industry B&K Offsetdruck offers digital printing, sheetfed and web offset. For it’s established clientele over 220 employees produce high demanding and high quality products. Motivated through constant progress our pretense to offer innovative products is our priority. This reaches throughout all divisions. Through relia-bility, quality and service we develop unique products for our clientele. We offer a broad range of brochures, advertising matters, personalized mailings, mag-azines and catalogs. Also special designed paper mechanisms such as PopUps, registers and flaps. To make your product shine even more we are specialized on finishing technologies such as spot color printing, film finishing, printing varnish and special varnish effects. The topics environmental protection and sustainability are also anchored into our principles. The climate change calls to respect our personal responsibility as a manufacturing company and align ourselves with it's demands. „we print carbon neutral“ with „nature office“. Metapaper is Europe’s first online platform for paper and individual printing solutions. Metapaper offers a conclusive system of white papers for corporate design printing solutions as well as individual projects and brokers more than 200 trusted printing companies for individual printing solutions in Europe. Thus, Metapaper combines the largest selection of white papers with all available print and fin-ishing techniques. Canon is a global provider of imaging technologies around pho-tography, film, multifunctional printing and copying systems as well as medical technology, software, services and support. Founded in Japan in 1937, the company now has more than 360 offices worldwide with approximately 197,000 employees, 18,000 of these working in Europe. Canon is an award-winning and ex-tremely popular brand, has been ranked among the top three in the US patent ranking for over a decade and is currently ranked 4th in the Global RepTrak 100 of the most renowned companies worldwide. Corporate Social Responsibility is an integral part of the corporate philosophy "Kyosei": living and working for the common good. Canon Deutschland GmbH, headquartered in Krefeld and with branches throughout Germany, employs around 2,200 people and in 2019 has been named Top Employer for the third time in a row. As a contributor to the digital transformation, Canon is positioning itself in Germany as a driving force that advises and accompanies en-terprises on their way through the change processes. Papier ist nach wie vor ein wertvoller Kommunikationsträger. Der Werkstoff ist vielfältig in seiner Gestaltung, unver-wechselbar in seinem Charakter und bietet ein einzigartiges visuelles wie haptisches Erleb-nis. Dieser Perspektive folgt die Carl Berberich GmbH bereits seit über 150 Jahren mit Lei-denschaft und Know-how. Sichtbar wird die Leidenschaft für Papier in der großen Produktpa-lette von Berberich. Während Berberich Papier sich dem Papiergroßhandel als Kernkompetenz widmet, liegt der Fokus des Geschäftsbereiches Berberich Systems auf der hauseigenen Fertigung von Prä-sentations- und Organisationsmitteln. Dazu zählen etwa Mappen, Boxen, Ringbücher oder Kalender mit dem Gütesiegel „Made in Germany“. Dank moderner Verarbeitungstech-niken und höchster Qualitätskriterien – besonders beim Thema Umweltschutz – erfüllt Ber-berich individuelle Kundenwünsche und bietet Druckereien, Verlagen, Werbeagenturen und Indust-riefirmen einen zuverlässigen Service. Gegründet wurde Berberich 1863 im baden-württembergischen Heilbronn. Seitdem befindet sich das Unter-nehmen in Familienbesitz. Berberich punktet mit Niederlassungen in Abstatt bei Heil-bronn, Hofheim-Wallau bei Frankfurt, Langenfeld im Rheinland, Lip-pstadt in Westfalen, Hannover und Ottobrunn bei München sowie einer österreichischen Tochtergesellschaft mit Niederlas-sungen in Thalgau bei Salzburg und Traiskirchen bei Wien. Das weit verzweigte Netzwerk schont Ressourcen, da kurze Wege ebenso dazu bei-tragen, verantwortungsvoll mit der Um-welt umzugehen. All-round personal: This is how good cooperation works. We are a family business with over 40 years of experience in design, printing and specialising in high-quality finished products in embossed foil printing. Individual advice, creative layouts, realisation of your print projects up to packaging, storage and on-time dispatch - here you get personal all-round support.Reliable service and high quality standards are convinc-ing! The partners Cristian Capristo and Sven Heinemann have decided after many years of beeing employed and working together with various manufacturers of scratch-resistant films and also finish-ers to start the 4films GmbH with the target of producing films, trading films and technical consulting. Partnership is very important to 4films, we want to see our customers and sup-pliers not only to be the same, but as a trustworthy partner with whom you can go together in the future. With our young and motivated team in our service-oriented company, we ensure that your orders are com-pleted on time and that your questions are answered quickly and professionally. Our films, which are specially designed for all printed papers on common known digital printing methods, currently they form the basis for trading with spe-cial films. Other high-tech products will follow shortly and presented here. Based on many years of experience in sales and production man-agement in the printing and laminating industry, we can also offer technical advice and ser-vice. The 4films company has a worldwide network of film manufacturers. We will gladly advise you on-site - make an appointment today! FKS ist einer der führenden Anbieter von gra-fischen Maschinen mit Lösungen für „Alles nach dem Druck“ und Marktführer im Bereich der Digi-taldruck-Weiterverarbeitung. Die Produktpalette umfasst Maschinen zum Broschüren-fertigen, Sammelheften, Zusammentragen, Klebebinden, Rillen, Schneiden, Perforieren und Falzen sowie zum Laminieren und UV-Lackieren. Bei den von FKS vertriebenen Syste-men für Druckweiterverarbeitung, handelt es sich nicht um Einheitslösungen, sondern um Systeme, die auf höchste Wirtschaftlichkeit und besondere Flexibilität ausgerichtet sind. Leistungsbereiche der traditionellen Papierverarbeitung werden dabei ebenso erfüllt wie die Besonderheiten im Umfeld des Digitaldruckes. Mit unserer aktiven Kundenorientierung bie-ten wir maßgeschneiderte Lösungen für eine individuelle Beratung, Planung und schlussend-lich zielgerechte Realisierung an und betreuen Ihr System bundesweit über den gesamten Lebenszyklus hinaus. Schon seit Gründung des Familienunternehmens im Jahr 1954 kon-zentriert sich FKS auf den Import, die Veredelung und den Vertrieb Grafischer Maschinen. Durch die mehr als 60-jährige Erfahrung im Vertrieb und Service sind wir in der Lage mit un-seren zertifizierten Experten eine hohe Beratungs- und Dienstleistungskompetenz aufzu-weisen und dem Kunden unser Know-How in höchster Qualität zu vermit-teln. HP Inc. is one of the world's largest providers of digital printing systems and solutions for the commercial print-ing and packaging markets. The Graphic Solutions Business (GSB) unit develops and manu-factures HP Indigo sheetfed and web digital production printing systems based on HP Elec-troInk liquid ink, HP Scitex and HP DesignJet large-format inkjet and latex large-format printing systems and HP high-speed inkjet web presses in its own laboratories and produc-tion facilities. HP products are sold directly or indirectly on the market. HP holds patents for the core technologies used and is therefore not dependent on external suppliers. The inno-vative power is therefore in our own hands. HP's core technologies are also used exclusively in its own products and are not marketed by second- or third-party manufacturers. The market and application segments addressed worldwide include label and packaging prin-ting, as well as publishing printing, direct mailings, transaction printing, general commercial printing, posters and signage (signage and display), reprography, professional photography, graphic design, architecture, technical planning, construction and geoinformation systems. HP supplies not only the printing presses but also workflow systems, tools and applica-tions up to complete solutions, e.g. for process automation, eBusiness, solutions for variable data printing and personalization and much more. In order to provide customers and users with the best possible and most productive complete solutions, HP cooperates with many solution partners worldwide in the field of communication applications, prepress and print finishing. Der CEWE-Standort in Mönchengladbach bietet Ihnen mit ANDERS DRUCKEN die Möglichkeit, hochwertige individuelle Digitaldruckprodukte auf HP Indigo Digitaldruckmaschinen zu produzieren. Mit über 200 Mitarbeitern fertigen wir hier pro Jahr weit über 1 Million Hard- und Softcover im Digitaldruck auf einem hochmodernen Maschinenpark. Wir bieten unseren Kunden die Produktionssicherheit und Professionalität eines international agierenden Unternehmens, kombiniert mit dem innovativen Service ei-nes kompetenten, flexiblen Teams. ANDERS DRUCKEN setzt dabei auf professionelle Bera-tung, modernste Veredelungstechniken und beeindruckende Print-Produkte, die nicht von der Stange zu haben sind. Damit bieten wir unseren Kunden einen echten Mehr-wert. Highlight Media entführt Sie in die faszinierende Welt des Laserfeinschneidens und der Laserfeingravur. Mit unserer Technologie produzieren wir hochqualitative, filigranste Formen und extreme Effekte in Papier, Kartonagen und vie-len andere Materialien, die nachhaltig beeindrucken und ein haptisches Erlebnis bieten. Da-bei setzen wir auf hochmoderne Laseranlagen mit speziellen Laserkopfmodulen und selbst entwickelten Komponenten. Wir erwecken Papier zum Leben! Das heißt: Bei klei-nen bis mittleren Auflagen ist Schätzl Ihr Partner für großartige Prin-terlebnisse! Wir wissen, wie Sie Ihre Kunden begeistern, wie Sie ihnen Ihre Wertschät-zung zeigen können. Sie persönlich anzusprechen ist dabei der Schlüssel! Aber das Beste daran: Sie können dies mit uns als Partner ganz einfach durch veredelte Produkte erreichen! Denn wir haben die Lösung für Sie: Mass Cus-tomization. Diese Gleichung geht garantiert auf – unsere ein-zigartige Kombi verschiedener Kompetenzen ist Ihre Lösung. Diese veredeln wir zu-dem mit unterschiedli-chen Techniken, wie Folienprägung, UV-Lack, Crystal, Glanz- und Me-tallic-Effekten… oder aber mit unserem Laser, der Ihr Produkt schneiden, gravieren, perforie-ren, rillen, personali-sieren und auch Etiketten schlitzen kann. Unser Fokus liegt auf Bü-chern, (Gruß-)Karten und Postern! ist Spezialist für Kommunikations- und Kampagnenmanage-ment. Von der einzelnen Broschüre, über wirkungsvolle Prozesse für die strategische und mediale Markenführung bis zu komplexen Outsourcing- und Logistik-Lösungen betreuen wir unsere Kunden europaweit von den Standorten Saerbeck und Düssel-dorf. Die Papier Union Gruppe ist Ihr Dienstleistungspartner rund um Papier, Druck-zubehör, Large Format Printing, Siebdruck/UV-Offset und Verpackungen. Mit über 9.500 Artikeln sowie einem Marktanteil von 20% ist die Papier Union mit Sitz in Hamburg einer der Branchenführer in Deutschland. Durch die Einbindung in die Inapa Gruppe ist die Papier Uni-on zudem Teil einer der größten europäischen Papiergroßhandelsgruppen. Über das ge-samte Bundesgebiet verteilte Niederlassungen und die zielgruppenorientierte Organisation garantieren Nähe und schnellstmögliche Belieferung. Als einer der führenden Veredelungsun-ternehmen ist Gräfe Druckveredelung in Bielefeld zusammen mit dem Schwesterunterneh-men LEISSING Druckveredelung in Landau Partner für Entwicklung, Innovation und Umset-zung von nachhaltig prägenden Printprodukten für Markenartikler, Werbeagenturen, Dru-cke-reien, Faltschachtelhersteller und Verlage im gesamten deutschsprachigen Raum. Die Limego GmbH ist ein Druck- und Mediendienstleister, der durch den Ein-satz modernster Drucktechnologien hohe Qualität in beeindruckender Geschwindigkeit lie-fern kann. Von der klassischen Visitenkarte bis zum hochwertigen Geschäftsbericht stehen wir Ihnen zur Verfügung. Wir bieten Ihnen als Fullservice-Dienstleister von der Druckbera-tung, Druckvorstufe, Druckversand, Konfektionierung sowie Lettershop bis hin zur individuel-len Komplettlösung alles aus einer Hand. Mit der Investition in eine Scodix S74 Offline-Relieflackierung, eine mit sieben Farbwerken und Heavy-Substrate-Kit ausgestattete Indigo 5500, sowie einen Papierlaser Anfang 2014 setzt Limego auf Druck- und Veredelungstechno-logie der neuesten Generation. So können wir mit der Scodix-Anlage ab sofort 3D-Spot-Lackierungen im Digital- und Offsetdruck personalisiert schon für kleinste Auflagen durch-führen, auch im Format 70x50cm. Auch haptisch ansprechender Reliefdruck ist uns ab sofort inhouse möglich. Darüber hinaus können auch cellophanierte Materialien und Sonderpapiere auf Wunsch partiell lackiert werden. Diese Leistung bietet Ihnen Limego übrigens als derzeit einziger Anbieter in ganz NRW. Zudem sind unsere Abläufe und Prozesse nach ISO 9001 : 2008 zertifiziert. Unsere hohe Produktionsgeschwindigkeit und eine außergewöhnliche Fle-xibilität ermöglichen Ihnen Lieferzeiten in der Regel innerhalb von 24 Stunden. Die technische Lösung von locr maps macht es möglich, aus anonymisierten Adresslisten für jeden Leser seine persönlichen Anfahrts- bzw. Umgebungskarten zu errech-nen. Sie sind informativer Eyecatcher und geben dem Leser direkten Bezug zur Werbebot-schaft – Wo findet was statt. Die locr GmbH wurde im Jahr 2006 in Braunschweig gegrün-det und entwickelte zunächst eine Foto-Geotagging-Lösung für Internet und Mobile-Anwendungen. Über die Zeit entstand mit locr maps eine Technologie für den Printbereich, die es ermöglicht, personalisierte Anfahrts- und Umgebungskarten für Direct Mailings und Foto-Finishing-Anwendungen zu generieren. Dank des Digitaldrucks können diese Karten auch in hoher Auflagenzahl in individualisierte Printmedienkonzepte eingebunden wer-den. Mondi Uncoated Fine Paper is a busi-ness unit of Mondi Group. In 5 paper mills in Austria, Slovakia, Russia, and South Africa, Mondi Uncoated Fine Paper produces environmentally sound office and professional printing papers tailored to the latest professional digital and offset print technologies. The company complies with the strictest international certification standards to support sustainable pro-duction processes through the responsible management of forest, water and air resources. All Mondi uncoated fine papers belong to the Green Range of papers that are FSC® or PEFC™ certified, 100% recycled or bleached entirely without chlorine. Its renowned brands such as Color Copy, DNS®, IQ, MAESTRO®, NAUTILUS®, BIO TOP 3®, PERGRAPHICA®, NEUJET®, Snegurochka or ROTATRIM are used in office environments on laser or inkjet prin-ters and by professional printers on digital or offset presses to create brochures, transactio-nal material, folders, invitations, business cards, letterheads or other highimpact communi-cation. Converters appreciate the excellent printability and smooth handling of Mondi’s pro-fessional printing papers. Mondi is a global leader in packa-ging and paper, delighting its customers and consumers with innovative and sustainable packaging and paper solutions. Mondi is fully integrated across the packaging and paper value chain – from managing forests and producing pulp, paper and plastic films, to develo-ping and manufacturing effective industrial and consumer packaging solutions. Sustainabili-ty is embedded in everything Mondi does. In 2017, Mondi had revenues of €7.10 billion and underlying EBITDA of €1.48 billion. Unsere Branche unterliegt einem ständigen Wandel. Diese Herausforderung setzen wir in aktive Unterneh-menspolitik um. Mit einer leistungsbereiten Mannschaft und einer guten Portion Neugier machen wir aus Ideen Druckerzeugnisse nach Maß. Die Zutaten unsers Erfolgs: mo-dernste Technik, effiziente Prozesse, hohe Wirtschaftlichkeit und langjährige Erfah-rung. ist ein führender Anbieter von Komplettlösungen für die unternehmensweiten Druck- und Dokumentenwork-flows im B2B-Bereich. Neben den Services als IT Solutions Provider umfasst das Angebot digitale Produktionssysteme, Multifunktionssysteme sowie Laserdrucker. Zehn Jahre nach Markteintritt in den digitalen Produktionsdruck ist das Unternehmen heute der führende Anbieter. Im Zentrum des Angebots von Konica Minolta steht der Kunden-Mehrwert. Die marktführenden Drucksysteme bilden die Basis, um in Kombination mit vernetzten Lö-sungen, automatisierten Workflows und Apps das ganze ökonomische Potenzial zu realisie-ren. Zur Kundennähe trägt auch DIGITAL1234 bei, das Kunden-Programm zur Entwicklung digitaler Geschäftsfelder. ist ein weltweit führendes Unternehmen der Heißpräge- und Beschichtungs-technologie. KURZ entwickelt und produziert auf Trägerfolien applizierte Dekorations- und Funktionsschichten für verschiedenste Einsatzgebiete: metallisierte, pigmentierte und holo-grafische Prägefolien für Verpackungen oder Printprodukte, Oberflächenfinishes für Elektro-nikgeräte oder Automobilteile, Schutz- und Dekorlacke für Möbel oder Haushaltsgeräte, Echtheits-Kennzeichen für Markenartikel, Metallic-Applikationen für Textilien und differen-zierte Beschichtungen für viele weitere Anwendungen. Mit über 5.000 Mitarbeitern in 14 Werken in Europa, Asien und den USA, 24 internationalen Niederlassungen und einem weltweiten Netz an Vertretungen und Verkaufsbüros fertigt und vertreibt die KURZ-Gruppe eine umfassende Produktpalette zur Oberflächenveredelung, Dekoration, Kennzeichnung und Fälschungssicherheit, abgerundet durch ein umfangreiches Programm an Prägemaschinen und Prägewerkzeugen. Darüber hinaus investiert KURZ kontinuierlich in neue Technologien und entwickelt innovative Lösungen für die Integration von Funktionen in Oberflä-chen. Binderhaus specializes in expert advice, sales and service for print finishing machinery. There is a focus on machines for creasing, perforation, lamination, die cutting, sleeking, blind embossing, hot foil stamping and multi-finishers for digital printing. Our website www.binderhaus.com shows the complete range of products. Trotec was formed in 1997 from a rese-arch branch of Trodat and has since then become a world leader in the field of laser techno-logy. As part of the Trodat Trotec Group, Trotec develops, manufactures and markets laser systems for marking, cutting and engraving, as well as engraving materials. Trotec sets new standards, serves customers in more than 90 countries and has more than 500 employees. In 2015, the turnover of the Upper Austrian laser manufacturer for the first time excee-ded € 100 mio. The high-technology laser systems manufacturer relies on the ongoing ex-pansion of its technological lead and on consequent customer orientation. The field staff are qualified and continuously trained by the in-house Academy. With 17 sales subsidiaries, Tro-tec is internationally active. is a subsidiary of Kern AG, which has its headquarters in Konolfingen near Bern in Switzerland. For 70 years, Kern AG has developed and manufactured high-quality inserting systems, card processing solutions, digital printer pre- and post-processing tech-nology, logistics- and packaging and ADF (automated document factory) software. Charac-teristic features of the innovative Kern inserting systems are exceptional user friendliness, reliability, and potential application flexibility paired with modern technologies. Since its foundation by Marc Kern in 1947, the company has remained a family enterprise; now, in its second generation, it is owned and managed by Uli Kern. With its roots in the Bernese village of Konolfingen, the Swiss company quickly became known beyond the country‘s bor-ders. With its state of the art technologies and innovative developments, accompanied by the highest level of technical workmanship, Kern AG shapes the insertion technology sector. The inserting systems are produced in Switzerland and the EU. All Kern system components are produced inhouse. Kern AG is the global market‘s leading supplier. ist ein seit fast 20 Jahren von Inhaber Roland Al-brecht geführtes Unternehmen in der Druckweiterverarbeitung mitten in Deutschland. Richtig gut können wir den Versand von größeren Mengen bewältigen. Egal ob direkt personalisiert als Zeitschrift im Postvertrieb, Postwurf Spezial, Dialogpost oder unpersonal-isiert als Post aktuell bzw. per Direktverteilung. Mit derzeit drei Kuvertiermaschinen für die Formate DIN C6 bis DIN Lang sowie zwei weiteren Kuvertiermaschinen für Formate bis C4 ist man der im Kuvertierbereich leistungsfähigste nordhessische Lettershop. Täglich kön-nen im 1-Schicht-Betrieb über 100.000 Sendungen im Format DIN Lang verarbeitet werden und auch im C4-Bereich sind je nach Material bis zu 50.000 Kuvertierungen möglich. HEFTER Systemform, located in Prien in Bavaria, has been one of the leading companies in optimizing office, mailing and print finishing for more than 50 years. More than 70.000 machines sold worldwide care for more efficiency at demanding custom-ers. HEFTER Systemform offers powerful products and solutions for the office envi-ronment and graphic applications to its customers in more than 50 countries. Our company owned Customer Service with its professional support guarantees an optimum output of the ma-chines. HEFTER Systemform – Competence in mail and print finish-ing. Since 1981 the goal of the Mehring GmbH has been to of-fer clients all the various services concerning print finishing. Our focus lies on technical know-how and our long standing experience, which puts us in a position above the main-stream market of print-finishing. Besides maintenance and repair of our machines we also offer service assistance by telephone which saves time and effort on the customers behalf. We emphasis customer contact to show them what our machines are capable of producing. We are representatives and importers of various reputable manufacturers such Morgana, Fastbind, IDEAL, NAGEL, HOHNER, Rhin-O-Tuff, Wire-O. ist spezialisiert auf Weiterverarbeitungstechnik für Digital-druck, Offsetdruck und Großformatdruck. Das Unternehmen aus Dresden bietet eine große Bandbreite an cleverer und vielfältig einsetzbarer Technik mit intuitiver Bedienung. Top Ser-vice und Anwenderbetreuung stehen im Fokus, ebenso die Versorgung mit Verbrauchsmate-rial. Das Lieferprogramm umfasst Laminatoren, Rill- und Perforiertechnik, Rill- Falzmaschi-nen, Multifinisher, zahlreiche Kleingeräte sowie Maschinen zum Laminieren und Montieren von Large-Format-Anwendungen. Das Angebot wird abgerundet durch ein breites Spektrum an gebrauchter Weiterverarbeitungstechnik für die industrielle Ferti-gung. Als modernes Unternehmen der Papier- und Vliesstoffindustrie stehen wir für Innovation, Kompetenz und Exzellenz: Wir entwickeln, produzieren und vertreiben Papiere und Vliesstoffe als stabile Basismaterialien zum Beschichten, Prägen und Bedru-cken. Dauerhaftigkeit, einzigartige Haptik sowie erstklassige Bedruckbarkeit – das zeichnet unsere Lösungen im Bereich Print aus: ob Spezialpapiere für dauerhafte Druckerzeugnisse, oder digital bedruckbare Vliese für perfekt inszenierte Wanddekoration. Damit Außenwer-bung immer und überall maximal wirkt, entwickeln wir auch für Out-of-Home Medien stabi-le und hochwertige Lösungen. Since Horizon entered the German and European market in 1982, the com-pany has stood for innovative solutions in print finishing. The international market leader offers products that meet the highest demands in terms of precision, ease of operation, short set-up times and integration capability. In particular, the networked smart-finishing solutions enable cost-effective production from run 1 to industrial production through inte-grated customer processes. Horizon machines master the entire spectrum of print finishing: saddle stitching, perfect binding, folding, collating, cutting, laminating and die-cutting. As a worldwide provider of marketing management systems, socoto supports both national and international companies and organisations, as well as their regional distribution partners, with the implementation of their marketing activities. The web-based, module-built system allows easy linking of national and regional advertising efforts and is adjustable according to the demands of the customer. In this process the entire scope of marketing activicites - starting from planning, via budgeting, through to the realization of advertising efforts and their analysis – is illustrated. Among the customers of the company, founded in 1998 and based in Trier (Germany), are some notable names including Volkswagen, Porsche, Engel & Völkers and Intersport. Currently socoto has 100 employees spread across four branches, in Trier, Cologne, Berlin and Shanghai. Papyrus Germany offers a wide range of 8.000 available products ex stock. There are printing substrates fitting every possible print job that needs to be done. The efficient logistics mark a further advantage of the company, which guarantees an optimal distribution due to the nationwide network consisting of sales and logistic positions. Beside graphic and office paper, as well as packaging materials, there are value-adding service solutions to complete the product range. Customized solu-tions, smart e-Services and not to forget disposal and energy solutions are facilitating the customer’s daily operations while saving time and money. Impressed GmbH Impressed GmbH, founded in 1992, offers services and so-lutions in the field of digital media production in German-speaking countries (D/A/CH). For more than 25 years, we have been helping our customers to standardize and automate their internal and inter-company processes and production flows, thus making them more effi-cient. As the leading print business automation software in the Ger-man-speaking world, Obility offers printing companies a platform for their customers to "simply make business easy". In a team of more than 30 colleagues, Obility has been devel-oping online-based software since 1999, which automates and optimizes the commercial processes in print business. This gives customers, employees & companies more time - mo-re time to do more and more time to get better. The Obility Software is an E-COMMERCE PRINT, WEB2PRINT & E-BUSINESS PRINT system for designing, costing, branding, sourcing & selling graphic products. As an SaaS & On-Premise solution, Obility offers Open & Closed Print Stores, Online Editing & Print Calculation, Print On Demand, Automated Print Purch-asing & SMART MIS. Die priint:suite verbin-det Inhalte aus über 50 Content Systemen mit dem Publishing Prozess und erzeugt automa-tisiert Printprodukte, OnDemand Publishing und Native Digital Publishing. Mit mehr als 350 Kunden und der Unterstützung von über 100 commerce, MDM, PIM und DAM Anbietern ist die priint:suite die führende Multichannel Publishing Plattform für Produktkommunikation. Unternehmen wie 3M, Saint Gobain, Grohe AG, Wilo, grundfos setzen auf die priint:suite, um ihre Print-Publikationen schneller, effizienter und kostengünstiger zu erstellen und glo-bale Publishing Plattformen aufzubauen. Die Theissen Medien Gruppe (TMG) hat ihre Wurzeln in den Bereichen Print und Produktion. Insgesamt 50 Mitarbeiter beschäftigen sich mit den Bereichen Druck, Verarbeitung, Digitaldruck, Werbetechnik, Lettershop, Lager-haltung, Logistik, Satz, Grafik, Gestaltung, IT, Programmierung, SEO/SEA und Marketing. „Unser tägliches Tun dreht sich fast ausschließlich um das „Sichtbarmachung“ von Ideen“, so das Unternehmen. Dabei ist jedes einzelne Projekt eine maßgeschneiderte Lösung auf die Anforderung der Kunden: vom Aufkleber in Stückzahl 1, über Montageanleitungen, Broschü-ren, Flyer, Verpackungen, Displays oder datenbankgestützte Katalogproduktion bis hin zu Eventmanagement-, PIM- und Content-Managementsystemen oder komplexen Online-Marketing-Portalen. Akeneo ist das PIM der nächsten Generation – ein PIM, dass über eine leis-tungsstarke API schnell in die vorhandene IT-Umgebung zu integrieren. Dazu ist Akeneo un-kompliziert, flexibel, skalierbar, bedienungsfreundlich und nicht teuer. Heute nutzen mehr als 48.000 User weltweit Akeneo PIM. Über 200 Unternehmen aus Handel und Industrie, darunter viele führende Marken sowie Marktplätze, setzen auf die Enterprise Edition von Akeneo, welche es als OnPremise-, und auch als Cloud-Edition gibt. 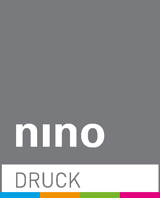 Warum Nino? Weil wir ein einzigartiges Team haben, das unsere Kunden unterstützt, berät und sich kümmert. Als voll-stufige Akzidenzdruckerei mit derzeit 160 Mitarbeitern erarbeiten wir täglich Lösungen aus den Bereichen Offsetdruck, Digitaldruck und LFP/PoS. Natürlich gehört dazu modernste Ma-schinentechnologie mit Mess- und Regeltechnik, um Ihre Aufträge in kürzester Zeit maßge-schneidert und individuell standardisiert nach Prozess-Standard-Offset und Prozess-Standard-Digital (PSO/PSD nach DIN ISO 12647) produzieren zu können - unsere Qualität ist Ihre Botschaft. Das ist die "Pflicht" und für die "Kür" bieten wir Ihnen viele Dienstleis-tungen um das Drucken herum, wie z.B. eine eigene Medien-IT-Abteilung für Web-to-Print-Anwendungen (B2B & B2C), eine sichere Mailingproduktion, haptische Veredelungseffekte mit Relieflack und Heißfolie sowie echte LayFlat-Technologie für Soft- und Hardcover in kleinen und mittleren Auflagen. Doch wie eingangs erwähnt, sind es Menschen, die die Technik bedienen und in unserem engagierten Team sehen wir den Nutzen für Sie! Wir bei CHILI Publish haben eine einfache Mission: Wir wollen die innovative Publi-shing-Technologie liefern, die das Wachstum Ihres Unternehmens befördert. Unsere Online-Dokumentenbearbeitungslösung revolutioniert das Digitale Publishing, definiert neu, was im Web machbar ist, und sorgt bei unseren Kunden für eine Verbesserung der Arbeits-prozesse. Wir verstehen, dass Ihre Anforderungen und die Herausforderungen so unter-schiedlich und einzigartig sind, wie Ihre Geschäftsbereiche, und unser Bekenntnis zum Kun-denservice ist unerschütterlich. Daneben haben wir ein globales Ökosystem von Partnern aufgebaut, die zu den angesehensten, zuverlässigsten und bekanntesten Namen der Bran-che gehören. w&co MediaServices ist einer der modernsten und innova-tivsten Full Service Mediendienstleister in Deutschland. Von der Konzeption und Kreation über die Fotografie und Medienproduktion bis hin zum E-Commerce Shop – wir unterstützen unsere Kunden bei allen Marketingmaßnahmen im E-Commerce, in Print, Mobile Commerce und am Point of Sale. Hologram Company (HC), founded in 1994, is one of the world's leading companies in security technologies and expert for brand protection. By Nanogram™ technology, we guarantee 100% protection against counterfeiting and offer individual security solutions for versatile applications. As a trusted partner HC are committed to create individual and innovative solutions for today’s every changing markets. HC offers taylor-made solutions in following areas: Automotive, Merchandising, Industries, Beverages, Pharma & Chemistry and Personal Care. As an ISO 14298:2013 certified security manufacture, HC works according to strict regulated procedures and guarantees highest standards of quality and security. HC is part of All4Labels Global Packaging Group, which is with over 3000 employees and more than 26 production facilities one of the biggest and most modern producers of packaging in Europe, Asia, Africa and Latin America and global market leader in the field of digital label printing. The Group offers a comprehensive spectrum in printing technology in the area of adhesive labels, shrink sleeve and flexible packaging as well as security and technical labels like RFID and source tagging labels. Innovation of HC is the Label Intelligence Solution Platform. This cloud software platform from Germany was developed especially for brand manufacturers, their partners and end users. With HC’s software, brands and OEMs can take advantage of tailor-made brand protection and intelligent product services, which are designed on a product level and can be easily integrated and used in a partner network. Relationships between a physical product and user are created digitally so that each product can be personalised dynamically and analysed in real time. HC all thereby enables the efficient operation of an in-house Smart Product IoT ecosystem - neutral with regard to the IDs and devices used (QR, Print, NFC, RFID UHF, etc.). As a system partner of the market-leading manufacturers, brunner + gräbner designs and implements professional printing systems for mailing and labeling in German-speaking countries. From the desktop system for single pieces and small batches to the production line for millions of copies, the focus is always on customer-specific requirements for optimum efficiency and flexibility - no matter whether it is planning the best individual solution for manufacturing companies, lettershops or highly specialized print service providers. Brunner + gräbner organizes intensive competence training courses and user seminars so that the know-how surrounding innovative technology reaches its customers. For all other needs throughout the hardware and software performance cycle of the equipment, a 360° service world is offered that simplifies processes and saves a considerable amount of time - from maintenance packages, automatic updates, consumables and accessories to repair, extension or modernisation of systems already in place. That's how your success is guaranteed! Why do customers work with us? They develop significant, while working with Amagoo. Amagoo delivers solutions with significant value. We thrill with quality under very attractive pricing. 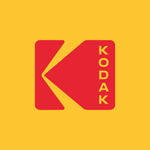 Kodak zählt zu den bedeutenden Lieferanten von Produkti-onslösungen für die gedruckte grafische Kommunikation. Produktionslösungen von Kodak finden Einsatz im Werbe- und Akzidenzdruck, im Verlagsdruck (Bücher, Zeitschriften, Zei-tungen etc. ), im Verpackungsdruck sowie im Transaktions-, Direktmailing- und Rechenzent-rumsdruck. Der globalen Kommunikations- und Medienindustrie stellt Kodak eines der umfangreichsten Programme an Produkten, Systemlösungen und Dienstleistungen zur Ver-fügung. Mit Druckvorstufensoftware, Workflow-Systemen, elektrofotografischen und Inkjet-Digitaldruckmaschinen, schnellen Inkjet-Eindrucksystemen, Computer-to-Plate-Anlagen, di-gitalen Druckplatten für den Offset- und Flexodruck, Hard- und Softprooflösungen sowie webbasierten Portalprodukten für die Online-Kooperation und Web-to-Print deckt Kodak alle Segmente des Druckmarktes ab. Die PCL3 Qualitäts-Etiketten im SRA3-Format sind ideal für professionelle Ansprüche im Digitaldruck und kompatibel mit allen gängigen Bogendruckmaschinen wie HP Indigo und Trockentonergeräte, z.B. von Xerox, Canon, Konica Minolta, Ricoh. Durch vorgestanzte Eti-ket-ten können Anwender ihre Prozesse optimieren und somit Zeit und Kosten sparen. Um eine beeindruckende Druckqualität sicherzustellen, sind die Etiketten mit einer speziell ent-wickelten Digital Print Beschichtung ausgestattet. So erzielen Anwender Ergebnisse mit brillanten Farben und gestochen scharfen Konturen sowie eine optimale Farbhaftung. Alle Etiketten des PCL3 Produktsortiments verfügen über eine Sicherheitskante, die den Klebstoff einschließt und somit die Maschine vor Klebstoffablagerungen schützt. Dies sorgt für einen reibungslosen Maschinendurchlauf und eine störungsfreie Produktion. Without screen printing you would not be able to print on everything that comes to your mind. With the production of remarkable and at-tention-grabbing advertising media we successfully support you in your sales activities by delivering new, creative solutions within innovative technical developments since 1908. As a creative design feature, our effective print enhancements offer impressive possibi-lities for directing the beholders‘ interest through haptics, optics and acoustics. Effective surfaces increase the beholders interest and turn your print object into a distinctive product. Discover many examples of creative finishings with us, such as relief varnishing or thermal ink. Seit fast 25 Jahren ist die Audio Logo GmbH speziali-siert auf Electronics in Print (früher Firma Clegg). Mit Sound, Licht und Video in Print ma-chen wir hier vor Ort in Ummerstadt (Thüringen/Deutschland/Europa) Mailings, Packaging, Displays, Bücher, Promotion-Artikel und Magazin-Beileger von höchster Qualität. Wir sind immer bereit, mit erfahrenen Medienproduktionern Neue Produkte zu entwickeln. Auf unserer Homepage finden Sie zahlreiche Referenzen und interessante Produk-te. PAV ist einer der führenden Kommunikations-dienstleister für Global Player aller Branchen. Wir begleiten unsere Kunden von der Aufbe-reitung der Daten, über die Produktion und Postauflieferung der Mailingbestandteile bis hin zur Auswertung ihrer Kampagne. Dabei beherrschen wir die gesamte Klaviatur der Kunden-kommunikation. Hierfür haben wir eine Reihe von crossmedialen Print- und Mailinglösungen entwickelt. Diese ermöglichen die Kundenansprache nicht nur auf dem Papier, sondern auch auf dem Smartphone. Die Grundlage dafür legt unser digitaler Bogen- und Endlosdruck, welcher den allerhöchsten Qualitätsansprüchen entspricht. Hierzu gehören auch Sonderfar-ben oder CMYK-Halbtöne mit transparentem Toner für partiellen Glanz. So beinhaltet unser Portfolio zum Beispiel personalisierte Mailings mit QR-Codes und Landingpage, NFC-basierte Anwendungen und Online-Bestellportale. Als Kartenhersteller der ersten Stunde bieten wir Ihnen zudem ein umfangreiches Angebot an Kunden- und Geschenkkarten – auch mit RFID-Technologie. Spätestens der NSA-Skandal zeigt auf deutliche Weise, dass die Sicherheit personenbezogener Daten immer stärker im Fokus der Öffentlichkeit steht. Die Sicherheit Ihrer Kundendaten hat für uns daher oberste Priorität. So ist unser Informations-sicherheits-Managementsystem (ISMS) nach ISO 27001 zertifiziert. Die Kundendaten wer-den zudem nach den strengen Vorgaben des Bundesdatenschutzgesetzes (BDSG) verarbei-tet. Dies bescheinigt uns nicht zuletzt das Qualitäts- und Leistungssiegel (QuLS) des Deut-schen Dialogmarketing Verbandes (DDV) im Bereich der Datenverarbeitung. Um auch in Zukunft zu wachsen, arbeiten am Hauptsitz in Lütjensee bei Hamburg unsere rund 250 Mit-arbeiter an neuen innovativen und fortschrittlichen Lösungen. Damit begeistern wir unsere Kunden in allen Geschäftsbereichen. Hierfür stehen wir auch in der dritten Generation des Familienunternehmens. Der Großhandel ver-treibt Materialien, Medien und Maschinen, die zur Herstellung von Druck- und Werbeer-zeugnissen aller Art benötigt werden. Wichtige Bestandteile des Portfolios sind Produkte und Konzepte zur Optimierung von Druck- und Verpackungsprozessen sowie umfassende Beratungsdienstleistungen für Unternehmen. Der Hauptsitz ist in Hemmingen bei Han-nover. Eine weitere Niederlassung ist in Bielefeld angesiedelt. Saralon is a privately-owned company that was founded in 2015 as a spin-off from the Institute of Print and Media Technology, at the University of Technology in Chemnitz, Germany. The team at Saralon has accumulated unrivalled expertise and indepth knowledge of printed electronics. The company not only offers specialist expertise in the development and manufacture of advanced printing inks, but also in circuit design, package design, package production and printing. The company has also developed a set of Light Emitting Technologies to be used for package and marketing applications. Furthermore, Saralon has developed approaches for Anti-Counterfeiting in packages branded as SaralSecurity©, which includes a printed antenna or battery as well as printed circuit, sensor and electrochromic display. With these approaches end consumer can easily check the authentication of package and its content. With its solutions for tamper evidence closures Saralon is providing effective and costefficient approaches for packaging industry to be used for pharmaceutical package or premium and luxury goods packs. With their philosophy “Today it is easy to make things expensive and complicated, but we at Saralon make things simple and costeffective. Our technologies have been developed to fulfil the requirements of our clients and the most cost-sensitive packaging industries.” the company is already connected with multiple worldwide operating partners to introduce new kinds of package solutions and revolutionize the entire industry. is the leading magazine for digital processes, print, post press, paper, sign and advertising technique, business and management in Austria. The magazine is focused to readers as well as users in following areas: Agencies, Graphic & Design, Pre Media Companies, Large Format Print, Printing Houses & Finishing Companies, Digital Printers & Copy Shops, Enhancer & Converter, Paper Industry & Traders and Publishing Houses & Media Producer as well as the customers of these target groups. Es sticht hervor durch anspruchsvolle Fotos, besondere und vor allem „grüne“ Druck-techniken und ein außergewöhnlich großes Format. Generell wird ein Teil des Verkaufserlö-ses des Mondberge-Magazins an ausgewählte Charity-Projekten gespendet, über die auch im Heft berichtet wird. Digital transformation changes communication to the core: One to one communication across all channels, across all stages of the value chain, with all the media along all the steps of the customer journey. ONEtoONE is the navigator through this ever faster changing world of one-to-one communication between companies, employees and customers. ONEtoONE provides an 360 regree overview for the marketing and digital decision makers for their business and their individual care-er. is the executive letter for e-commerce, mail order and omnichannel. It delivers weekly all the really relevant news, analyzing trends and new business models. It provides in-depth practical know-how and valuable strategy consulting for the decision makers in the retail industry. MELASCHUK-MEDIEN.DE ist das Expertenportal mit Know-how, News und Fachbeiträgen rund um die Themen Marketing, Web-to-Print, Web-to-Publish, Multich-annel und Crossmedia. Im Portal werden die interaktiven Marktübersichten Web-to-Publish bereitgestellt, die zu einer höheren Transparenz dieses komplexen Marktes beitra-gen.
offers relevant daily news on the website „http://www.druckmarkt.com” as appetizers, every two weeks the PDF magazine „Druckmarkt impressions” on the Internet, every two months the printed magazine in high quality and the technical issues „Druckmarkt COLLECTION” in no particular order, preparing difficult subjects easy but exhaustive. Graphische Revue has been reporting on developments and trends in the printing community since 1900. The spectrum of topics covered extends from graphic design and typography through prepress, print, and postprint to crossmedia publishing. The regular circulation of 5000 copies informs the 1200 active members of the Graphischer Bildungsverband as well as about 1500 specialists and managers of the graphic arts industry and neighbouring branches every two months. 2000 copies go to graphic designers, publishers and agencies. Mit über 26 Jahren Markterfahrung ist PRINT & PRODUKTION eines der führenden Fachmagazine in der Druck- und Medienbranche Deutschlands. Das Magazin spricht Fach- und Führungskräfte in grafischen Unternehmen der Druckvorstufe, des Drucks und der Weiterverarbeitung ebenso an wie Produktioner in Werbeagenturen, Verlagen und Werbeabteilungen. Insbesondere werden Schnittstellen, übergreifende Workflows und Berührungspunkte zwischen Kunden und Lieferanten, zwischen den verschiedenen Produktionsstufen oder unterschiedlichen Fertigungsverfahren thematisiert. marke41 - das Marketingjournal der Markenmacher vermittelt Know-How aus erster Hand und bietet zuverlässige und kompetente Orientie-rung. »Grafische Palette« is the trade magazine for the german print & media industry with the highest distributed circulation. Primary target group are all companies within the graphic industry, including inhouse printers. Main editorial topics include sheet offset printing, digital printing and all production processes up- and downstream. With a clearly practice-oriented approach »Grafische Palette« is published four times a year. The magazine is devided into a 160 pages main body and six regional sections.